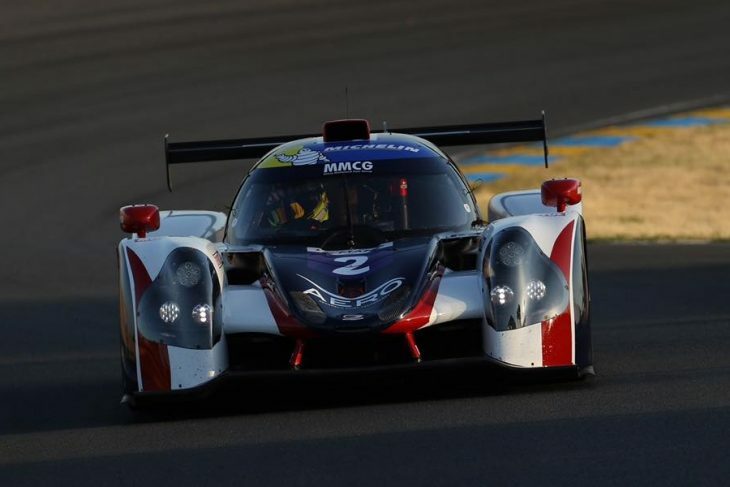 The #2 United Autosports Ligier of John Falb and Sean Rayhall stormed to victory in the first Road To Le Mans race of 2017, after a frantic 55 minutes of racing at La Sarthe. Behind, the #18 M. Racing YMR Ligier of Alex Cougnaud and Romano Ricci finished up second, ahead of the #14 RLR MSport Ligier of Martin Rich and Alex Kapadia that started 10th. “It was an awesome race, we were able to out the car on the second row,” said Falb. “I kept my head down and turned the car over in P7. We had a great stop and Rayhall completed the drive to the win. In the first half of the race it looked as though the DKR Engineering Norma M30 of Alex Toril would take a dominant win, after the Spaniard slipped behind Peter Kox’s Kox Racing Ligier at the start and fought his way back to the lead – the Kox JS P3 ended up falling to 14th after Nico Pronk’s run in the second half of the race. It was the same story for the #18 M.Racing YMR Norma, which started third and ran as high as second before retiring a lap after the stops after going into gravel at the Porsche Curves. The result was that the race was thrown wide open to the Ligier runners behind, who emerged in the lead as the second half of the race began. Eventually, the United car came home 5.6 seconds ahead of the other runners. Fourth and fifth behind the top three was the #53 M.Racing YMR and #87 RLR M Sport Ligiers. GT3 was just as frantic as LMP3, with different teams taking the lead seemingly every lap until the stops. Eventually the TF Sport Aston Martin would emerge victorious, after a rapid pit stop catapulted the car from fifth to second. Ahmad Al Harty, who took over from Tom Jackson was unable to catch the leading Spirit of Race Ferrari 458 of Mauizio Mediani, but the team was handed a penalty on the last lap and he crossed the line first. 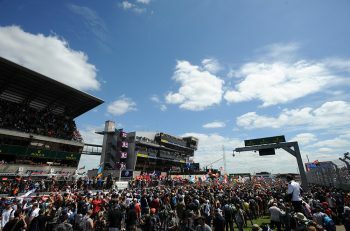 “Crazy, no other word to describe it, it was my first GT3 race and to get a win here at Le Mans was incredible,” said Jackson. The penalty meant the #7 Lee Mowle Mecerdes was promoted to second, with the leading Ferrari down to third. It was a real turnaround for the eventual podium sitters, that weren’t in the running earlier in the race. In the opening laps the Gulf Racing Porsche of Alex Baker, #76 IMSA Performance Porsche of Raymond Narac and #8 SVC Lamborghini of Steeve Hiesse all took turns in the lead, but none of the three would emerge up front after the pit stops. 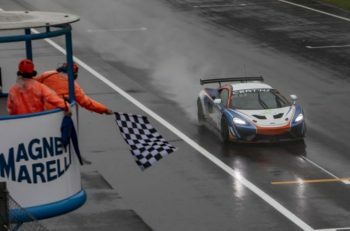 The Gulf Porsche finished last after an unscheduled stop by Ben Barker at the end, the #8 SVC Lambo crossed the line sixth and the IMSA Performance 911 ended the race in eighth. The trio dropping down the order promoted the Ebimotors Lamborghini to fourth and the Ram Racing Mercedes of Remon Los and Tom Onslow Cole to fifth.